If the left is accusing the right of something, you can be sure those charges are things the left themselves are either doing now or have done in the past. We see this in elections, where Democrats accuse Republicans of voter suppression, collusion with Russians, and efforts to disenfranchise U.S. voters. It’s all a sinister game. Again and again, the evidence suggests that Democrats are using rhetoric and accusations to distract from the shenanigans they are pulling. In 2017, voters in the deep red state of Alabama elected Democrat Doug Jones to the U.S. Senate over Republican Roy Moore by a margin of 1.5 percentage points, in a surprising upset. We now know of a massive deception perpetrated against Alabama voters. Dubbed Project Birmingham, the deception took the form of an elaborate “false flag” operation. Project Birmingham was one of two separate false-flag operations. The second was a Facebook operation dubbed “Dry Alabama.” It sought to give the impression that Southern Baptist teetotalers supported Moore. A false flag typically refers to a covert military-like action designed to deceive an enemy by attacking under the flag of a rival nation. The purpose of a false flag is to deceive and make an innocent nation, political party, or person look guilty of an action they didn’t commit. The New York Times, no friend of conservatives, broke the story Dec. 19 last year. 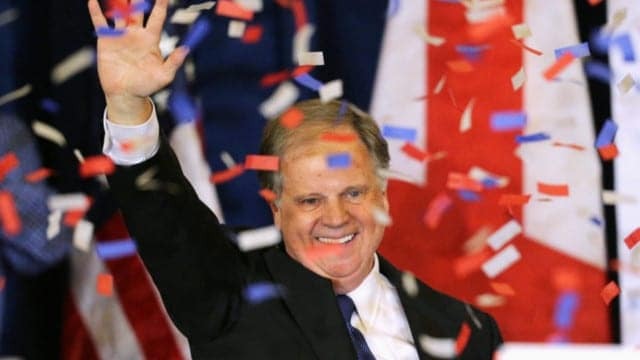 The NY Times gave the article the rather sanitized title: “Secret Experiment in Alabama Senate Race Imitated Russian Tactics.” According to the NY Times, the researchers sought to imitate the alleged 2016 Russian influence on the election of President Donald Trump to see if they could elect the Democrat in the red state. According to the NY Times, the people involved in the project were Jonathan Morgan, chief executive of New Knowledge, a cybersecurity firm; Mickey Dickerson, founding director of United States Digital Service, a former Obama administration official, and founder of American Engagement Technologies (AET); and Sara Hudson, a former Justice Department fellow who was working for Dmitri Mehlhorn, founder of Investing in Us, a tech finance company. The money to finance the operation came from Silicon Valley billionaire Reid Hoffman, co-founder of LinkedIn. Hoffman donated $750,000 to Dickerson’s AET via Investing in Us. AET gave $100,000 to Morgan’s New Knowledge. Investing in Us also gave $100,000 to Matt Osborne, a leftist who helped organize “Dry Alabama,” 80 percent of which was spent on Facebook ads, according to the NY Times. While Morgan’s company paid Facebook about $30,000 for targeted ads as part of their “small experiment,” it denies being involved in many of the activities described in a leaked document on Project Birmingham, which claims the firm’s activities were responsible for the election outcome. 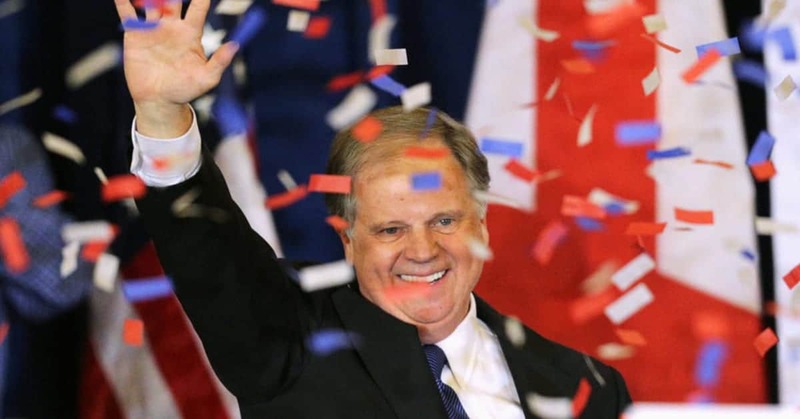 The leaked document shows the aim of the campaign was to target 650,000 Alabamians with a three-fold intent to: (1) radicalize Democrats; (2) suppress the votes of “unpersuadable Republicans”; and (3) split the votes of moderate Republicans. The project also used Republican plants on social media to help fuel allegations that Moore had engaged in inappropriate behavior with teenage girls, and also encouraged disaffected Republicans to throw their votes away by casting them for write-in candidates. Write-in candidates who received votes included Condoleezza Rice, Jesus Christ, and Attorney General Jeff Sessions. Moore has filed suit against four of the women that Democrats allegedly trotted out to accuse him of sexual misconduct. Moore, Jones, and Alabama State Attorney General Steve Marshall have asked for a federal investigation of the election. Moore has never conceded the election. On Oct. 11, 2017, CNN.com published an article titled “The Making of a Russian Disinformation Campaign: What It Takes.” Yet, it hasn’t bothered to inform viewers and readers about the elaborate false-flag operation in Alabama that denied the people an opportunity to elect a candidate of choice. As far as I can tell, “the most trusted name in news” hasn’t informed its audience of the Alabama disinformation campaign, despite having given round-the-clock coverage to the salacious allegations of sexual misconduct leveled against Moore. CNN did inform its audience of Moore’s lawsuits against four of his accusers. What are We the People to make of this elaborate deception scheme that has been blamed on the Russians? I contend that this is business as usual for leftists steeped in the deceptive tactics of Saul Alinsky, one of the left’s great heroes and the author of “Rules for Radicals.” Joseph Stalin invented fake news and propaganda to deceive the public. Under President Barack Obama, the Democrats’ use of totalitarian tactics grew and expanded. In Chapter 1 of my 2011 book, “Be the People: A Call to Reclaim America’s Faith and Promise,” I wrote about the Obama administration’s use of tactics reminiscent of George Orwell’s dystopian novel “1984″ about a totalitarian society. We now know Obama was successful in using the IRS, FBI, and CIA to target and harass U.S. citizens that he and other Democrats considered political enemies. In 2010, Obama sought increased surveillance of Americans and the power (which he was granted) to assassinate U.S. citizens suspected of terrorist links. In addition, the Obama-era Pentagon pushed for the creation of an Office of Strategic Deception to create and disseminate false information to confuse America’s enemies. Obama sought control over the internet and had begun to form governmental partnerships with big tech organizations such as Google. Under Obama, the National Security Agency alliances expanded from Google to include other tech companies such as Facebook. These organizations are staffed mostly by leftists who have increasingly used their power to censor and marginalize conservatives.